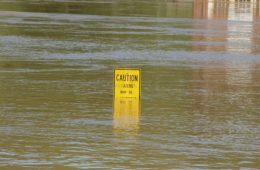 With all the Flooding: What about Submerged Ammunition? With the recent impact of two hurricanes, Harvey and Irma, on the United States, there is going to be a lot of ammunition that was submerged for some time. To prevent damage, many people keep ammunition in waterproof ammo cans. They tend to work very well, if the can is not submerged more than a few feet. Not everyone stores ammunition in ammo cans, and the cans can be damaged or leak. The two storms flooded tens of thousands of houses. A recent survey showed that about half of the homes in the United States have a gun owner living in them. Regarding ammunition that has been submerged in water for any period of time, there are too many variables that would need to be considered such as the cartridge type (e.g., rimfire, shotshell, centerfire rifle, centerfire handgun); depth of the water; length of time the cartridges were submerged; are the primers on the cartridges sealed providing some degree of water resistance? what contaminates may have been in the water that might affect the powder charge or priming compound? and many others. Some of the potential hazards of attempting to salvage or use the previously submerged ammunition include, but are not limited to: Potential safety hazard in attempting to “dry out” the cartridges. Possible further deterioration or damage of the loaded cartridge or its components due to drying methods. Failure of the cartridge to fire, which could have life-threatening ramifications. Initiation of only the priming compound or ignition of only a proportion of the propellant powder charge. This may result in insufficient pressure to push the projectile clear of the barrel resulting in the projectile stopping part way down the barrel and creating a bore obstruction. Firing a subsequent round through an obstructed barrel could result in serious bodily injury, death and property damage. It would be impossible to ascertain for certain the extent of the deteriorating effect, if any, the water may have had on each individual cartridge. Therefore, the safe answer is that no attempt be made to salvage or use previously submerged ammunition. The ammunition should be disposed of in a safe and responsible manner. Do not ship the ammunition back to the manufacturer. Contact your local law enforcement agency for disposal instructions in your area. Destruction of ammunition, on the chance that it might have a misfire or hangfire, or be a squib, may not be an acceptable choice. If it is the only ammunition available, careful firing may be the lesser of evils. If the ammunition is of military specifications, and has not been submerged more than a few feet, it may be undamaged. On the other side of the spectrum, I had ammunition that had been through a flood a few years ago. It was ammunition that would be particularly vulnerable: shotgun ammunition reloaded in paper shotgun shells. I had a couple of hundred rounds. It had been submerged for a few days. It was only a few inches under water. I decided to use the shells to hunt dove. I do not consider a missed dove a tragedy. I let the ammunition dry in the Arizona summer, which is quite dry. I carefully considered each shot separately. If there was a problem, I waited and checked out the barrel for a possible obstruction before firing another round. One of the worst dangers of a flood damaged cartridge is the possibility that a projectile will lodge in the bore. If another round is fired, the damage could be catastrophic. I had a few misfires. The cartridges simply did not fire. I had a spectacular hangfire. Two doves were crossing my front, left to right, about 35 yards out. I picked one and swung on it. As I slapped the trigger of my 20 gauge double, there was a distinct click…followed by a boom! The dove fell out of the sky. The hangfire was of short duration, about a quarter of a second, or less. I checked the bore, even though the shot had killed the dove. It was clear. If you find yourself where circumstance requires you to use ammunition that has been submerged, realize that misfires, hangfires, and squib rounds are serious possibilities. A squib is a round that does not fully ignite. A squib can easily lodge a projectile in the bore. Treat every shot as a potential hangfire, misfire or squib. Those possibilities should be something you are prepared for. If you experience a misfire, keep the muzzle pointed in a safe direction for 30 seconds. Some misfires take a bit of time to become a hangfire. If anything unusual happens, if the recoil or shot does not seem “right”, wait, then check the bore to make sure it is clear.